Have you ever wondered why your Google AdSense account pays you out pennies while you still get to read many success stories based on Google AdSense payouts? The entire game lies on the simple 2 factors. 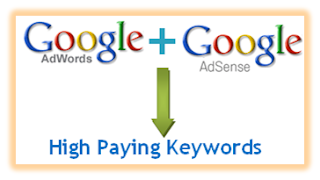 The secret of traffic and the use of highest paying Google AdSense keywords in your blog posts. The niche in which your blog lies plays a huge role in the amount of income your blog would generate for you when it comes to making money online via popular PPC (Pay per Click) platform, Google AdSense. How Does High Paying Keywords Let Us Make More Money? Its simple and straight forward. Talk about the big guys and you would be highlight of the market soon. The same goes for Google AdSense. Say on one side you promote a 70CC motor bike and you tend to make 1 sale. On the other side, you friend promotes Rolls Royce and also makes 1 sale. So who wins out? The same is the case with Google AdSense keywords. If your blog lies in a niche that tends to cover the keywords that are mentioned below, you would certainly make huge bugs with your AdSense account soon. If not, the only bottle neck that may come in your way would be your traffic and thats all. Adwords Advertisers pay Google for their PPC marketing campaigns behind the scene. So the more they would pay for a certain keywords/s, the higher are your chance to make more money when somebody clicks out those ads on your blog. Keywords related to 'Lawyers/attorneys' were always popular when it comes to making your life through Google AdSense. The spark in this niche lies in the fact that they tend to get both the arrows on the mark. Such niches have above average CTR (Click through rates) and also gets more per click. So its a win win situation for them. So take a look at the below keywords for the year 2012 and find where you lack at. BUT do read out the last section of this post. Even though we have this list, it could ruin your blog too! So be cautions. The keywords listed below are Cost Per Click (CPC) rates, that is each time your AdSense ads gets clicked, you get the following bugs straight away in your AdSense accounts. Its funny how high paying these keywords are. There are people who takes years to get to their first AdSense Cheques for 100$. And with the following keywords, Boom! You're first Cheque would fly in in few days! Say your blog is about toothbrushes that pays your pennies per click. Next day you start using Attorney some how in your blog posts! Who knows, may be you presents attorneys tooth brushing daily? Weird Haan? So using out of bound and in appropriate keywords that doesn't suite your blogs posts and doesn't comes in naturally would be a true disaster. So i hope these Google AdSense highest paying keywords would help you out in boosting your AdSense revenue if your blog lies in the certain niche that fits upon this list. Take Care guys and share the post with in your social circle. Cheers! 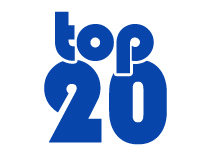 BloggingeHow | Making Blogging Simpler: Top 20 Highest Paying Google AdSense Keywords Of 2012-Be Rich!